2014 has been a tumultuous, exciting, and eye-opening year. Taking the plunge and going full-time with my passion for photography was a goal that I had once considered wishful thinking, it’s an amazing feeling to see where I am now. I am so happy and grateful to have had the support and good fortune over the past few years to have made my humble dream a reality. In my life before photography I spent five years working at a pediatric cancer and blood disorder clinic. Years of working with an entire office (and hospital) of caring, selfless, passionate people and doing my part to take care of such wonderful kids and their families completely changed my life. My position in the clinic made me come out of my shell, it gave me an opportunity to grow professionally and personally, it introduced me to hundreds of truly amazing families, and brought daily joy to my life in the form of smiles, hugs, conversation, and laughter. Not every day was perfect, though. Some days brought bad news and my heart broke with every diagnosis, relapse, and passing. Attending a funeral for a child is the most surreal, sad, things I’ve ever had to do. Everything feels wrong, like a mistake in the universe was made and that maybe, just maybe, everyone would be happy, healthy, and alive in the morning. I’m thankful for my health. I’m thankful for the friends and family I have who I know would be there for me if I shouted for help. I’m thankful for being able to make a modest living doing the thing I love. I’m very happy to announce that I have become a sponsor for the Catherine Elizabeth Blair Memorial Foundation. This is a charity near and dear to my heart – Catherine was one of my patients and her family is absolutely incredible. 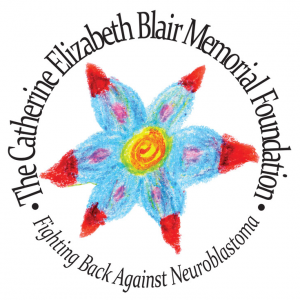 The Catherine Elizabeth Blair Memorial Foundation is an all-volunteer foundation that raises awareness and funds for the research and treatment of neuroblastoma, a devastating childhood cancer with very poor survival rates for high-risk patients. I already provide free coverage for the foundation’s annual “Skate for Catherine” event and will now be donating a set percentage of my income to support their vision and efforts. I will also be providing the foundation with photography and video services, you’ll be seeing those soon enough! I encourage you all to visit the foundation’s website and considering making a contribution to this and perhaps other local charities. Have a great Thanksgiving, everyone. I hope your stomachs are full and your faces are smiling (or grimaced in pain from too much pie)!